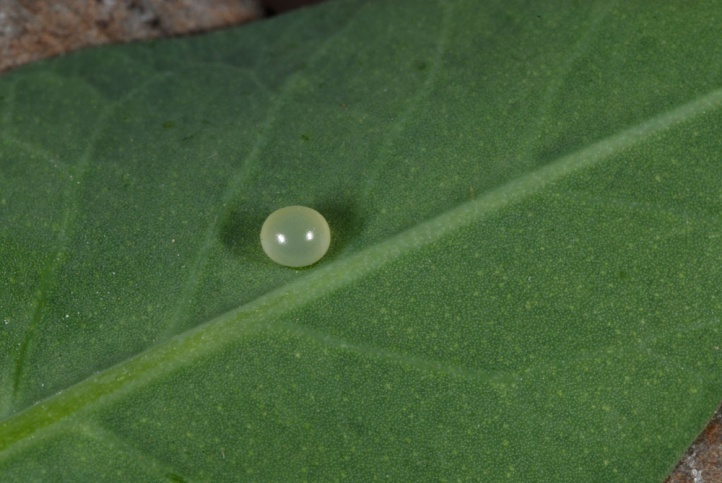 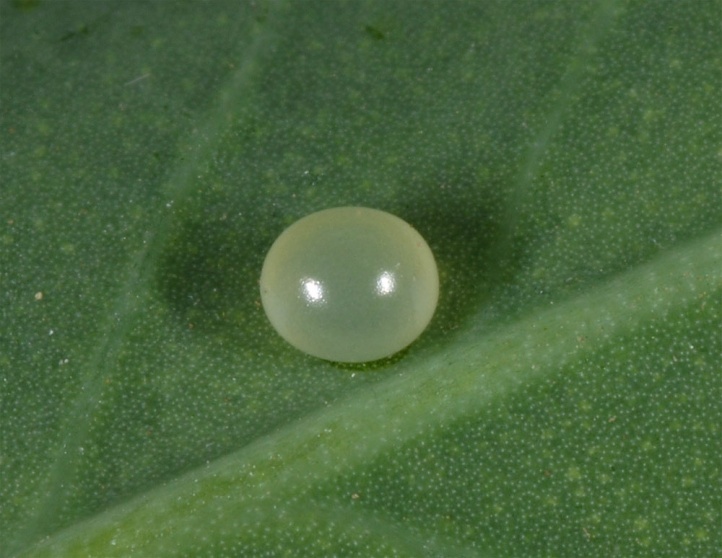 The species is polyphagous especially on Solanaceae and Oleaceae. 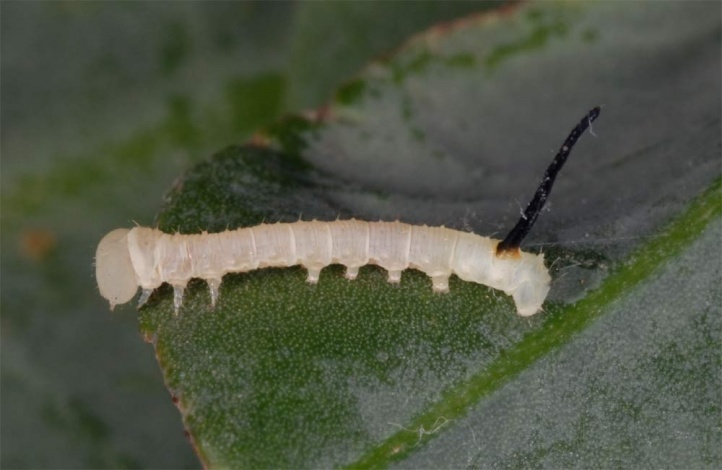 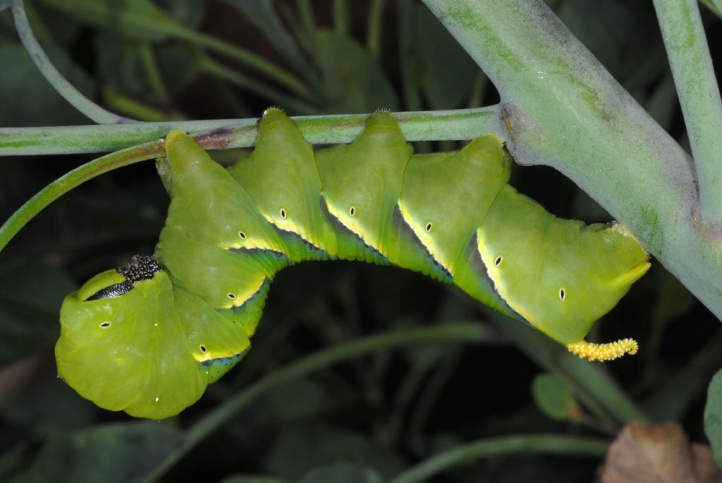 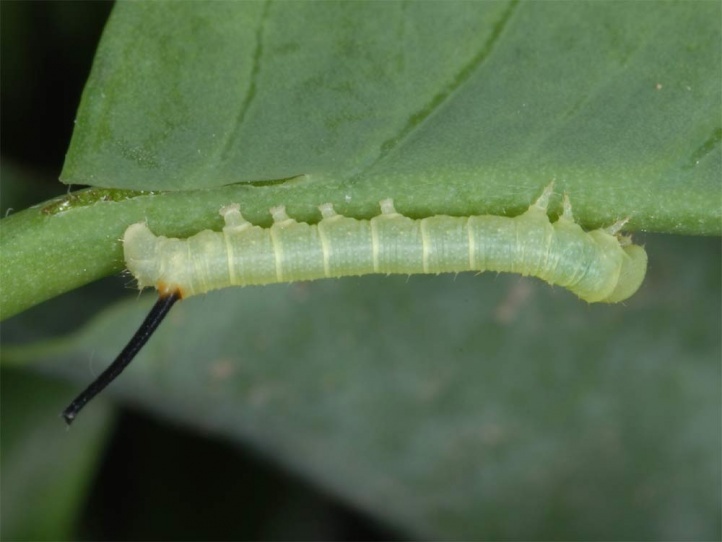 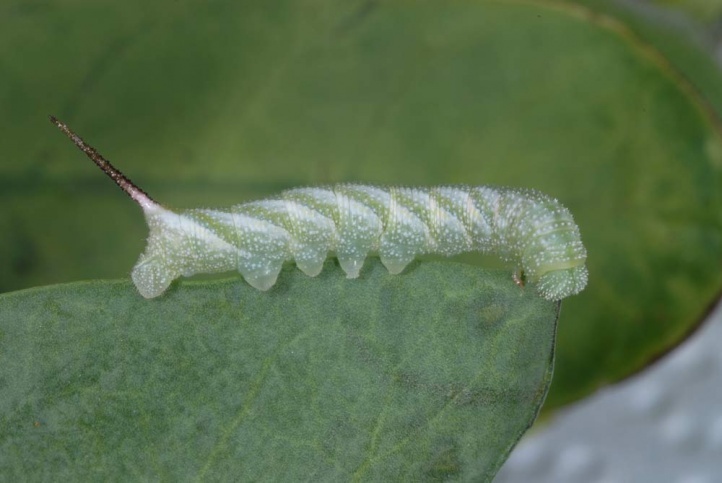 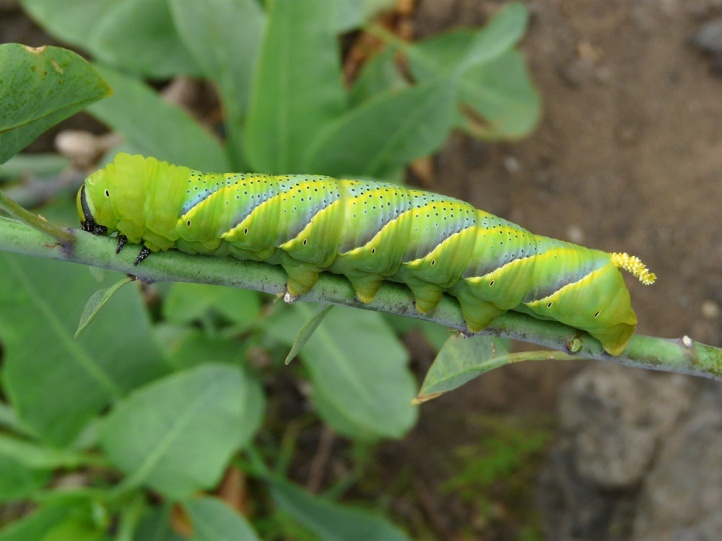 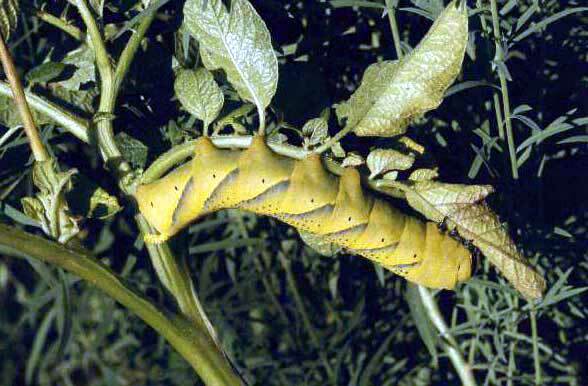 But north of the Alps, the caterpillars live primarily on potato leaves (Solanum tuberosum). 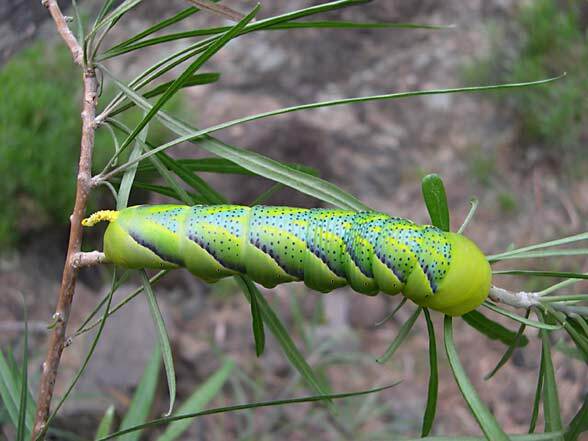 Less commonly, they are also found on Buddleia, Ligustrum and wild to cultivated Solanum species. 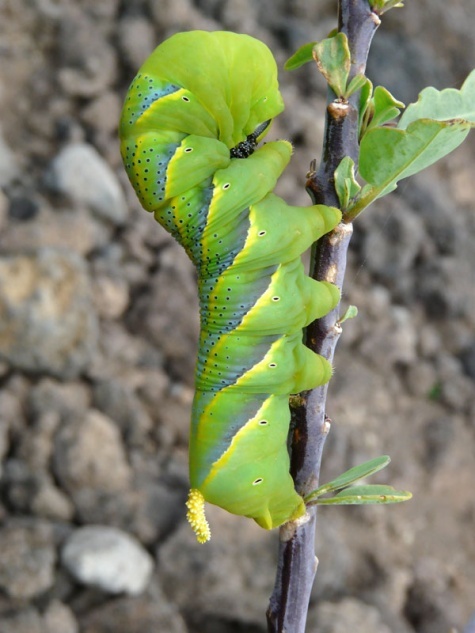 In Provence I found a caterpillar on Fraxinus. 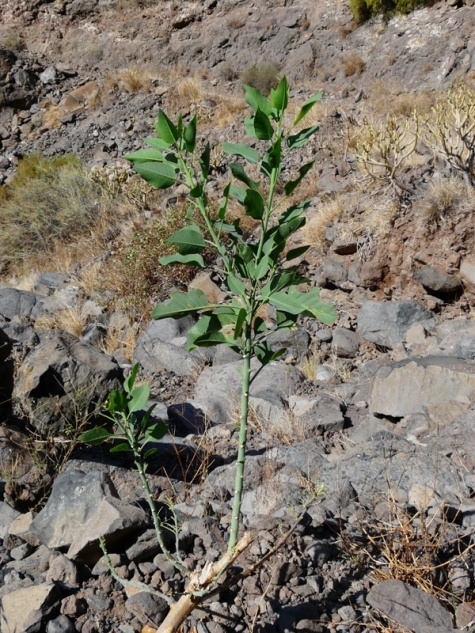 In the Canaries Nicotiana glauca is a popular host plant. 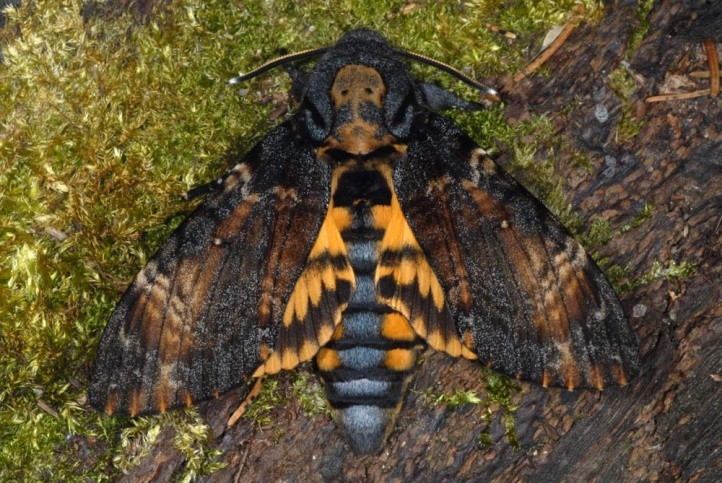 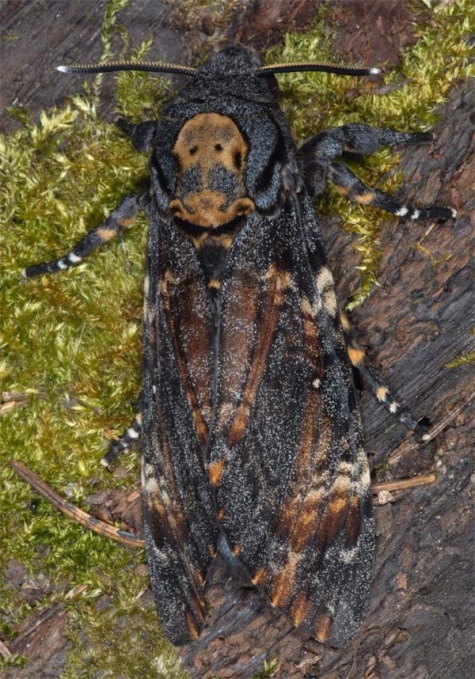 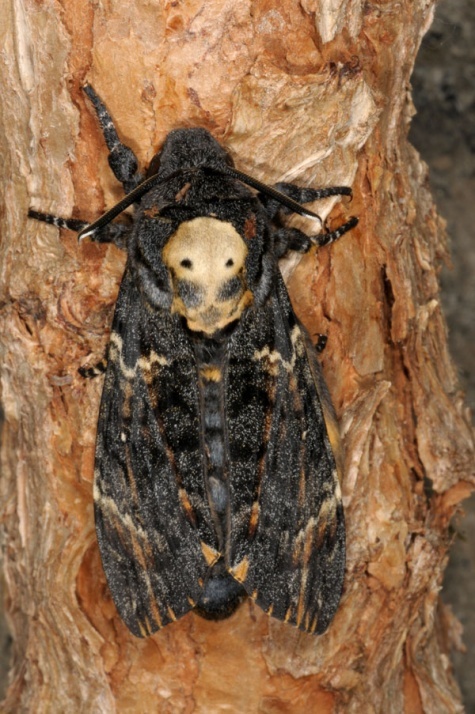 Acherontia atropos inhabits open land as agricultural areas. 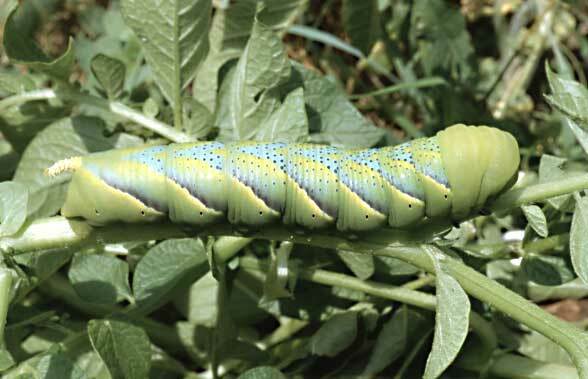 I observed the giant caterpillar repeatedly in potato fields near Memmingen (Germany). 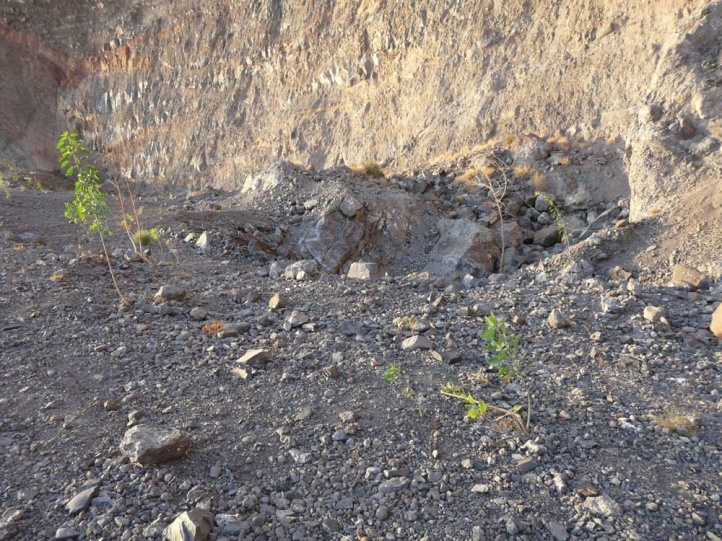 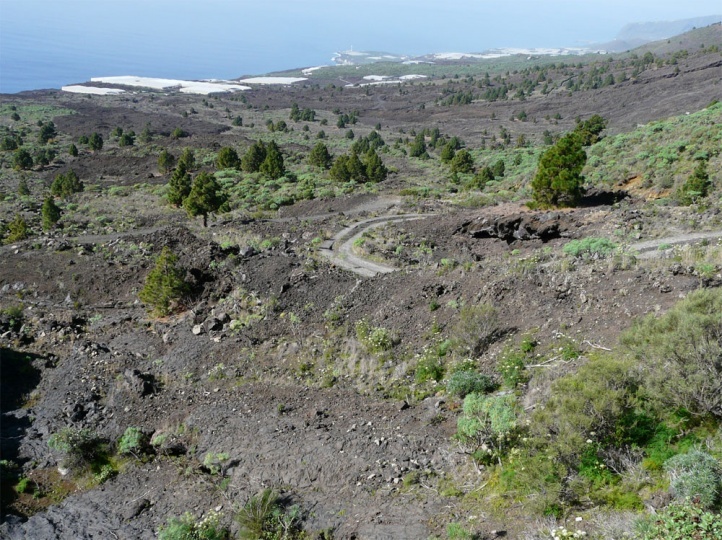 In the Canaries ravines (Barrancos) and other dry places with Nicotiana glauca and other host plants are colonized. 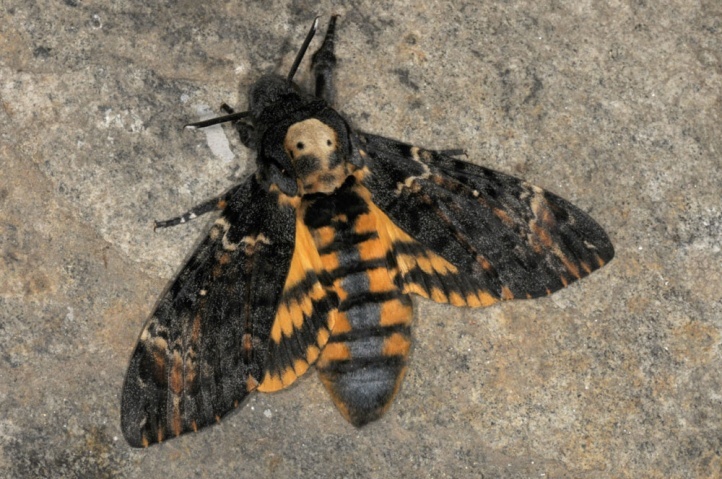 In Central Europe the adults usually arrive in the early summer. 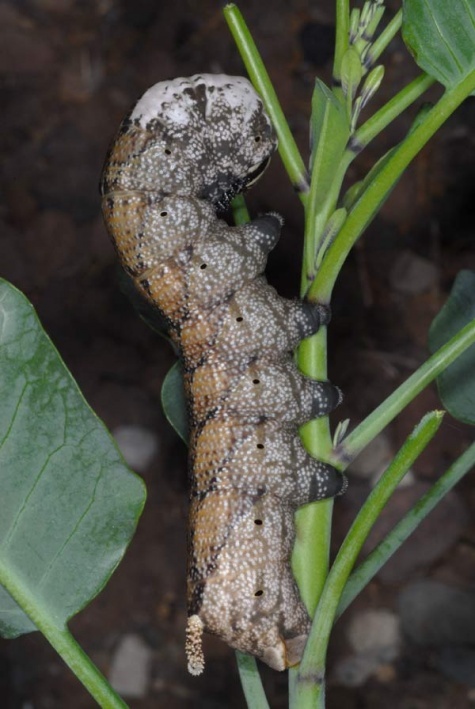 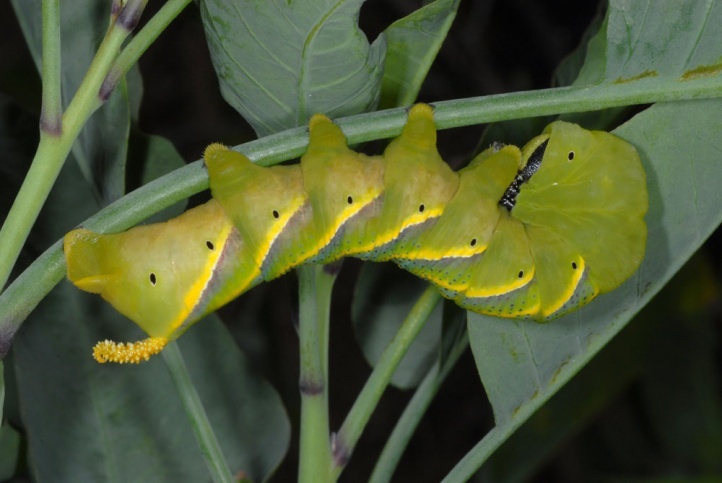 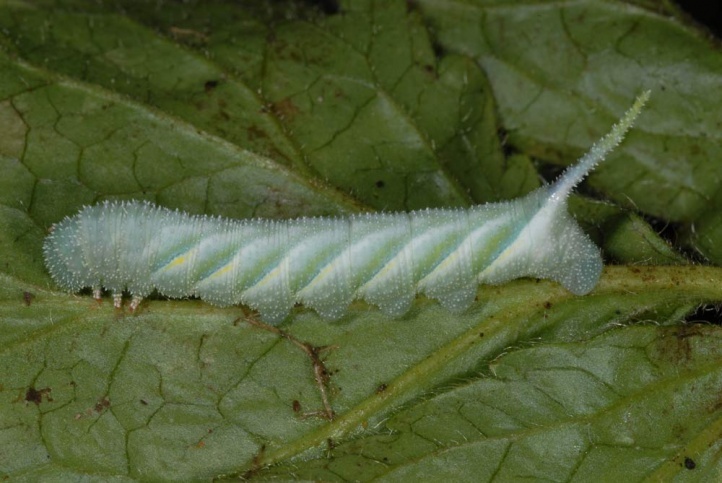 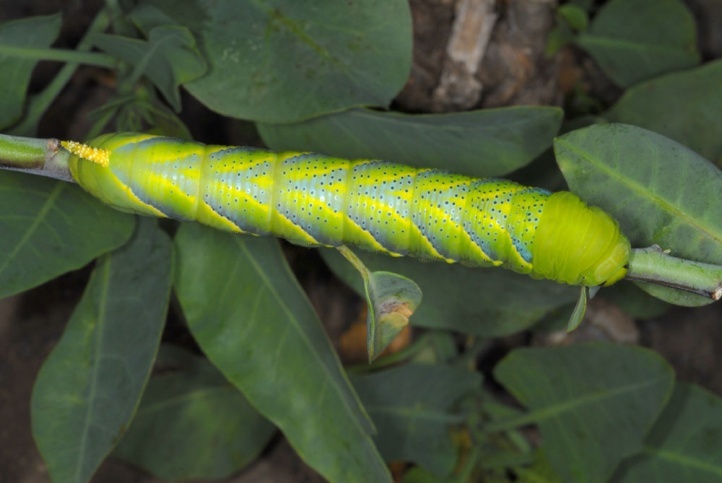 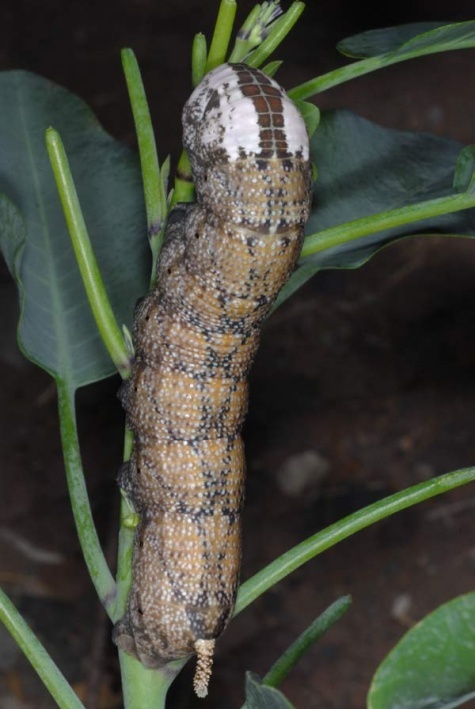 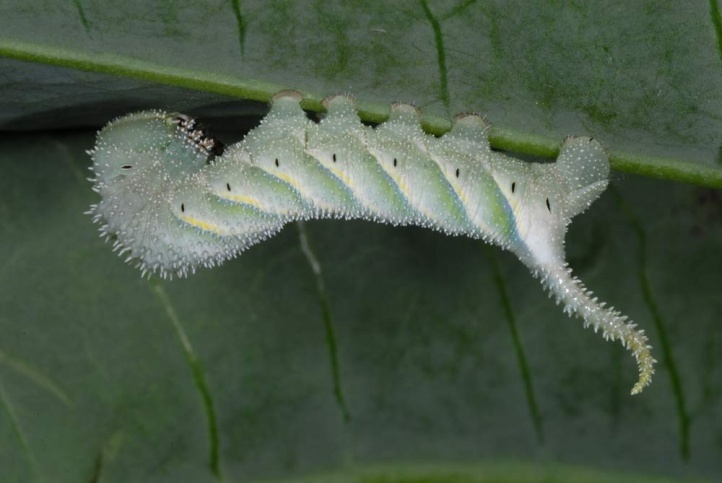 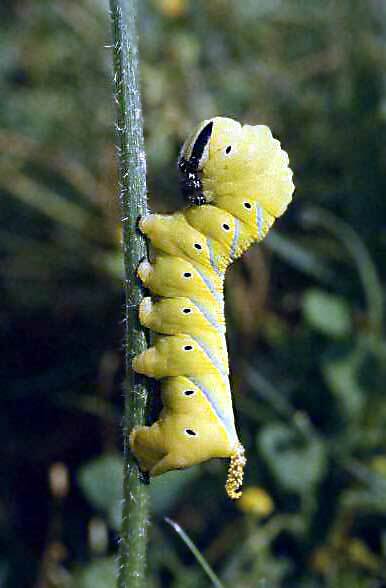 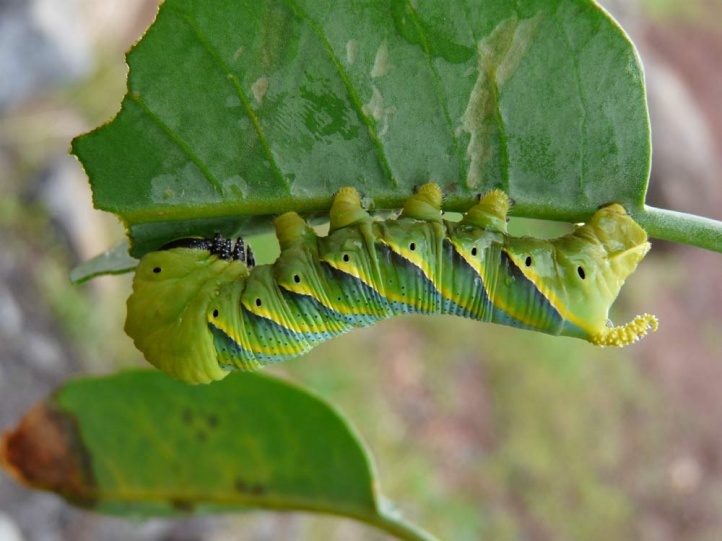 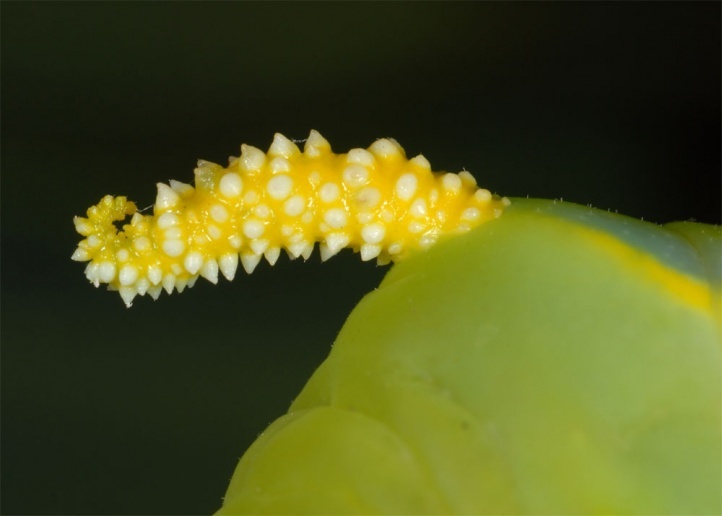 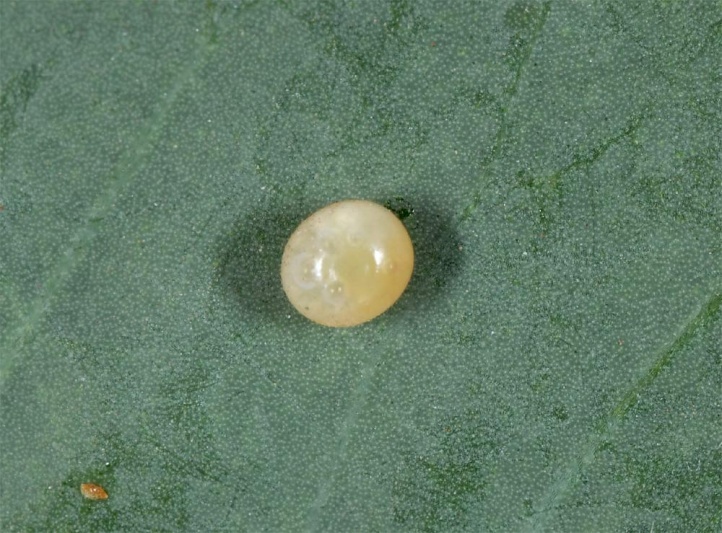 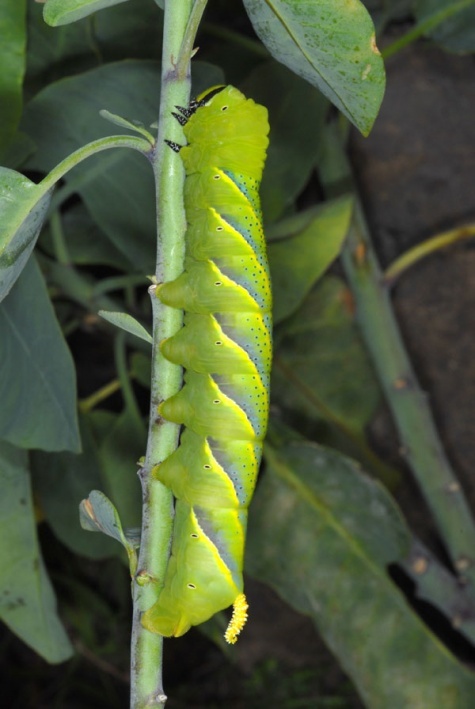 Caterpillars can be found from July to September. 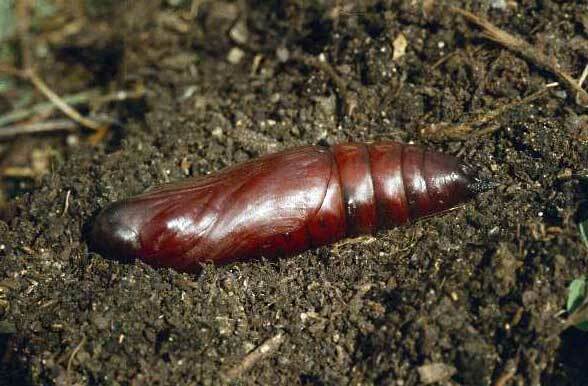 The pupa is less cold resistent than that of Herse convolvuli and thus survive the winter even rarer. 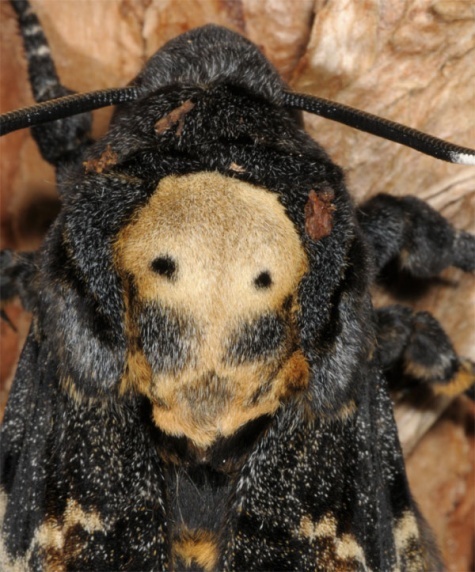 In the south (e.g. 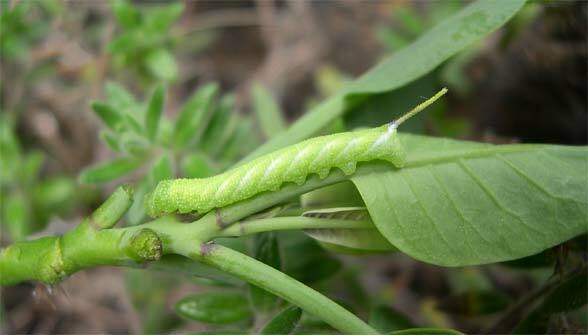 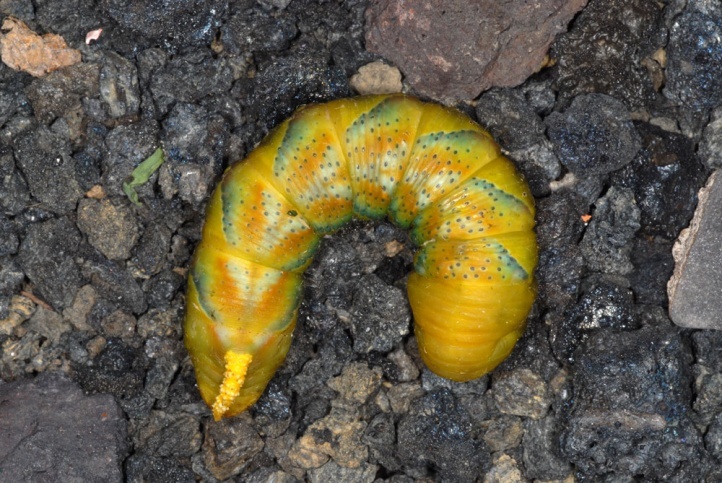 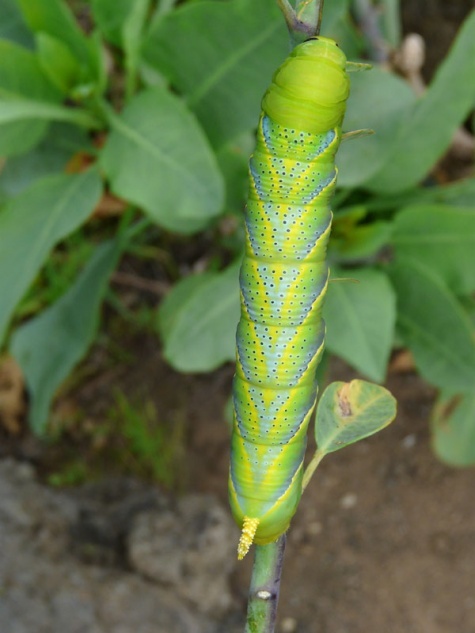 Canary Islands) Acherontia atropos is on the wing throughout the year and so are the caterpillars. 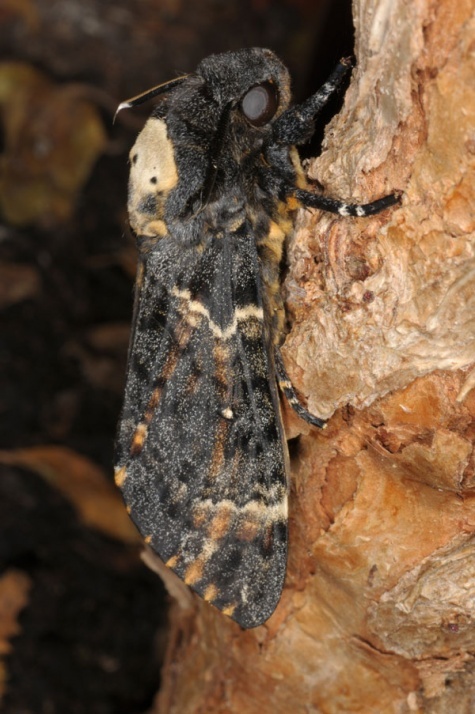 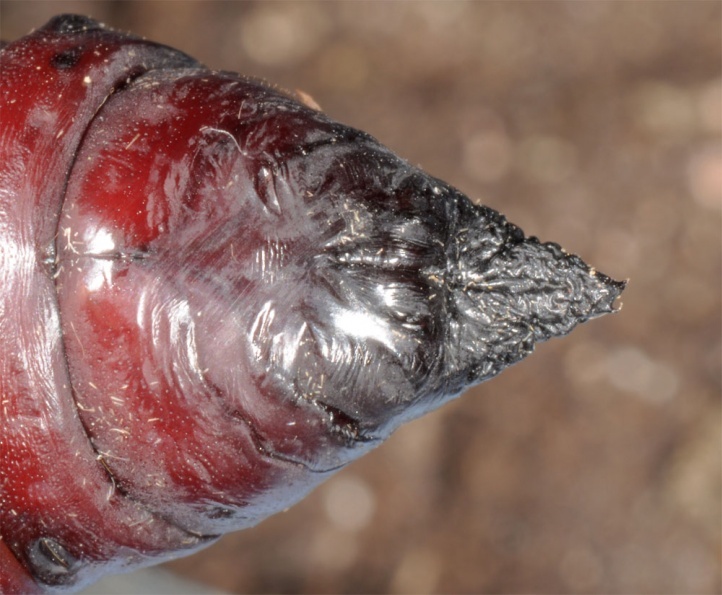 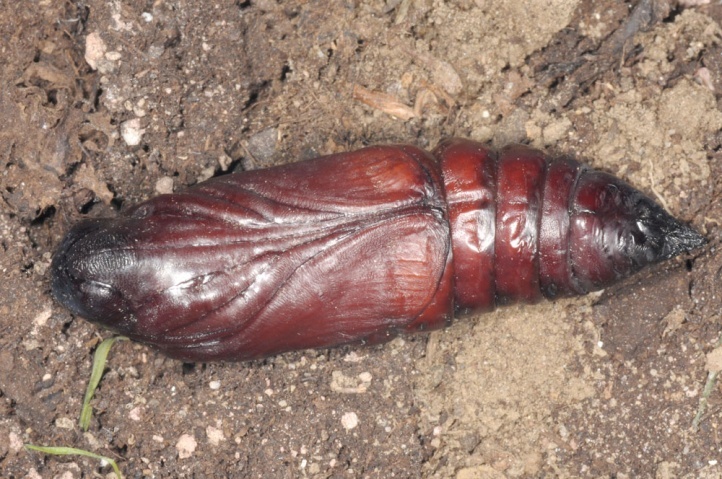 As a migrant the abundance of Acherontia atropos in Central Europe is more dependent on the situation in the main reproduction areas in Africa. 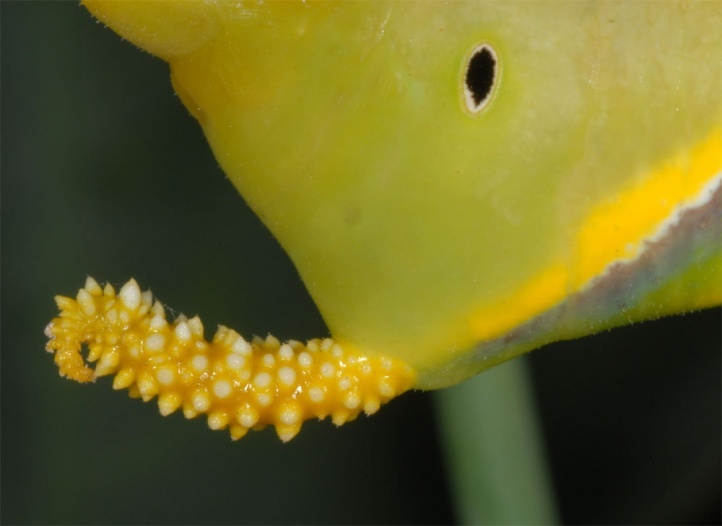 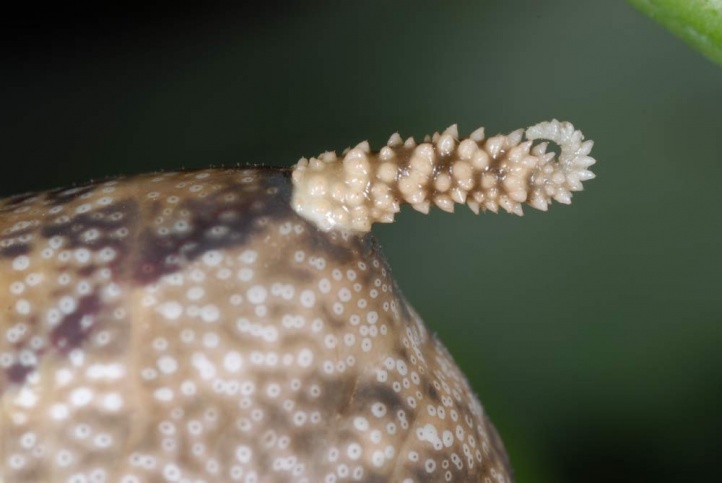 The short thick proboscis is used for sucking honey. 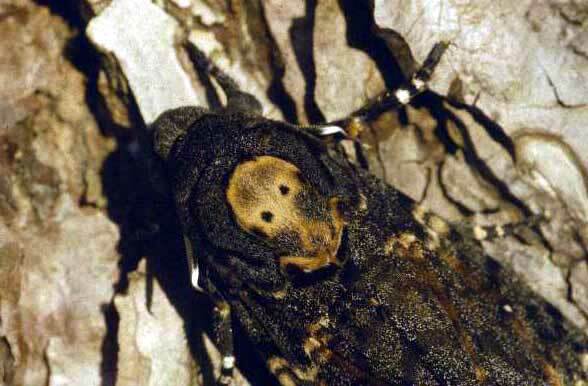 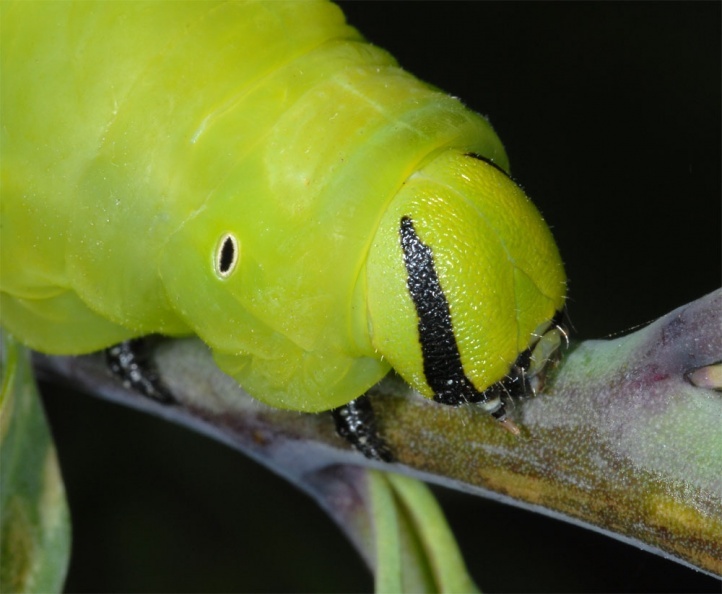 The moths and pupae are able to chirr and the caterpillars are crunching with the mandibles. 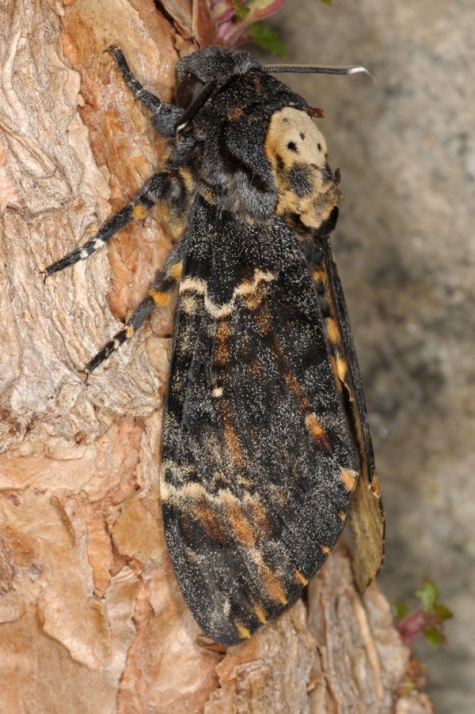 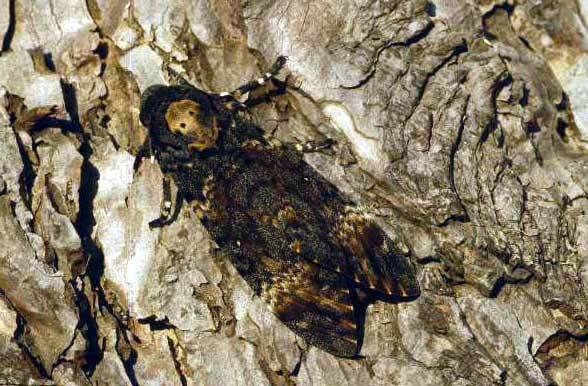 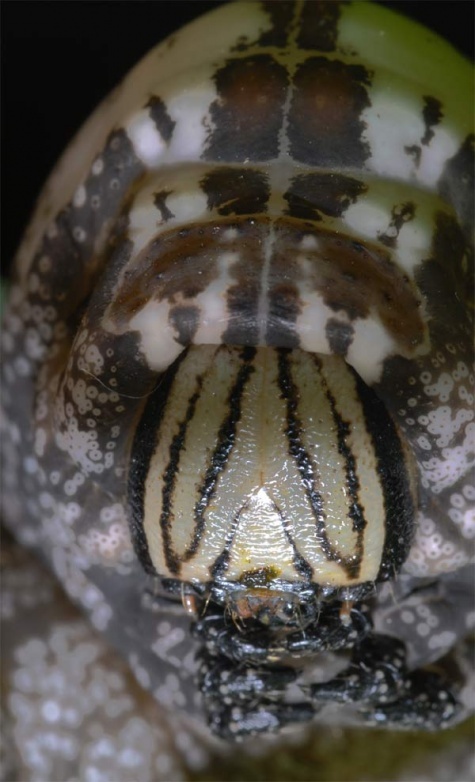 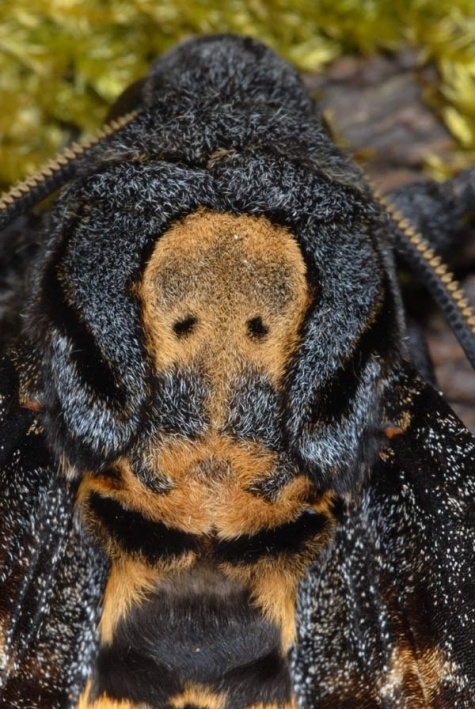 Acherontia atropos is widespread in the tropics and subtropics of Africa, the Southern European Mediterranean region and parts of southWestern Asia. 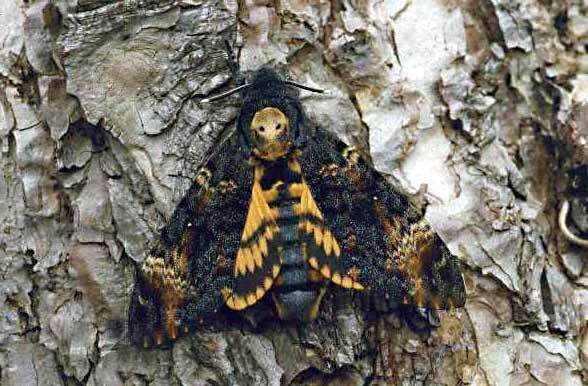 Further to the north (to Scandinavia) it flies each year in varying numbers as an immigrant.